The history of the Orthodox Church is traced back to Jesus Christ and the Apostles. The Apostles appointed successors, known as bishops, and they in turn appointed other bishops in a process known as Apostolic succession. Over time, five Patriarchates were established to organize the Christian world, and four of these ancient Patriarchates remain Orthodox today. Orthodox Christianity reached its present form in Late Antiquity (in the period from the 3rd to the 8th century), when the Ecumenical Councils were held, doctrinal disputes were resolved, the Fathers of the Church lived and wrote, and Orthodox worship practices settled into their permanent form (including the liturgies and the major holidays of the Church). In the early Middle Ages, Orthodox missionaries spread Christianity towards the north, to the Bulgarians, Serbs, Russians and others. Meanwhile, a gradual process of estrangement took place between the four Eastern Patriarchates and the Latin Church of Rome, culminating with the Great Schism in the 11th century, in which Orthodoxy and the Latin Church (later called the Roman Catholic Church) separated from each other. In the Late Middle Ages, the Fall of Constantinople brought a large part of the world's Orthodox Christians under Ottoman Turkish rule. Nevertheless, Orthodoxy continued to flourish in Russia, as well as within the Ottoman Empire among the latter's Christian subject peoples. As the Ottoman Empire declined in the 19th century and several majority-Orthodox nations regained their independence, they organized a number of new autocephalous Orthodox churches in Southern and Eastern Europe. Four stages of development can be distinguished in the history of the Orthodox Church. Early Christianity, which represents the first three centuries through the early age of Constantine the Great, constitutes the Apostolic and ancient period. The Byzantine period, beginning with the time of the Ecumenical Councils, comprises over eleven centuries from the First Council of Nicaea in 325 to the Fall of Constantinople in 1453. The Ottoman period starts, approximately, for the Greek and Balkan communities in the fifteenth century with the Fall of Constantinople, and ends about the year 1830, which marks Greek and Serbian independence from the Ottoman Empire. The last stage is the modern period. The Orthodox jurisdictions with the largest number of adherents in modern times are the Russian, the Ethiopian, and the Romanian Orthodox churches. The most ancient of the Orthodox communities existing today are the churches of Jerusalem, Antioch, Alexandria, Constantinople, Armenia, Georgia, and Ethiopia. Christianity first spread in the predominantly Greek-speaking eastern half of the Roman Empire. The Apostles traveled extensively throughout the empire, establishing communities in major cities and regions, with the first community appearing in Jerusalem, followed by communities in Antioch, Ethiopia and others. Early growth also occurred in the two political centers of Rome and Greece, as well as in Byzantium (initially a minor centre under the Metropolitan of Heraclea, but which later became Constantinople). Orthodoxy believes in the apostolic succession that they believe was established by the Apostles in the New Testament; this played a key role in the communities' view of itself as the preserver of the original Christian tradition. Historically the word "church" did not mean a building or housing structure (for which Greek-speakers might have used the word "basilica") but meant a community or gathering of like peoples (see ekklesia). The earliest Ecclesiology would posit that the Eucharistic assembly, under the authority and permission of a Bishop, is what constitutes a Church. As St. Ignatius of Antioch said, "Let no man do anything connected with the Church without the bishop. Let that be deemed a proper Eucharist, which is [administered] either by the bishop, or by one to whom he has entrusted it. Wherever the bishop shall appear, there let the multitude [of the people] also be; even as, wherever Jesus Christ is, there is the Catholic Church. It is not lawful without the bishop either to baptize or to celebrate a love-feast." the church of Jerusalem founded by Saint James. The church of Rome by tradition was founded by both Saint Peter and Saint Paul. Systematic persecution of the early Christian church caused it to become an underground movement. The first above-ground legal churches were built in Armenia (see Echmiadzin). Armenia became the first country to legalize Christianity (around 301 AD) under King Tiridates III and also embrace it as the state religion in 310 AD. However, illegal churches before "Christian legalization" are mentioned throughout church history; for example, in the City of Nisibis during the persecutions of Diocletian. Of the underground churches that existed before legalization, some are recorded to have existed in the catacombs of Europe i.e. Catacombs of Rome and also in Greece (see Cave of the Apocalypse, The Church of St George and the church at Pergamon) and also in the underground cities of Anatolia such as Derinkuyu Underground City (also see Cave monastery and Bab Kisan). Also noteworthy are the Church of St Peter in Antioch and the Cenacle in Jerusalem. Much of the official organizing of the ecclesiastical structure, clarifying true from false teachings was done by the bishops of the church. Their works are referred to as Patristics. This tradition of clarification can be seen as established in the saints of the Orthodox Church referred to as the Apostolic Fathers, bishops themselves established by apostolic succession. This also continued into the age when the practice of the religion of Christianity became legal (see the Ecumenical Councils). The Biblical canon began with the officially accepted books of the Koine Greek Old Testament (which predates Christianity). This canon, called the Septuagint or seventy, continues to be the Old Testament of the Orthodox faith, along with the New Testament's Good news (gospels), Revelations and Letters of the Apostles (including Acts of the Apostles and the Epistle to the Hebrews). The earliest text of the New Testament was written in common or Koine Greek. The texts of the Old Testament had previously been translated into a single language, Koine Greek, in the time of Ptolemy II Philadelphus in 200 BC. The early Christians had no way to have a copy of the works that later became the canon and other church works accepted but not canonized. Much of the original church liturgical services functioned as a means of learning these works. Orthodox Church services today continue to serve this educational function. The issue of collecting the various works of the eastern churches and compiling them into a canon, each being confirmed as authentic text was a long protracted process. Much of this process was motivated by a need to address various heresies. In many instances, heretical groups had themselves begun compiling and disseminating text that they used to validate their positions, positions that were not consistent with the text, history and traditions of the Orthodox faith. Liturgical services, especially the Eucharist service, are based on repeating the actions of Jesus ("do this in remembrance of me"), using the bread and wine, and saying his words (known as the words of the institution). The church has the rest of the liturgical ritual being rooted in Jewish Passover, Siddur, Seder, and synagogue services, including the singing of hymns (especially the Psalms) and reading from the Scriptures (Old and New Testament). The final uniformity of liturgical services became solidified after the church established a Biblical canon, being based on the Apostolic Constitutions and Clementine literature. In the Orthodox view, the Bible represents those texts approved by the church for the purpose of conveying the most important parts of what it already believed. The oldest list of books for the canon is the Muratorian fragment dating to ca. 170 (see also Chester Beatty Papyri). The oldest complete canon of the Christian Bible was found at Saint Catherine's Monastery (see Codex Sinaiticus) and later sold to the British by the Soviets in 1933. Parts of the codex are still considered stolen by the Monastery even today. These texts (as a whole) were not universally considered canonical until the church reviewed, edited, accepted and ratified them in 368 AD (also see the Council of Laodicea). Salvation or Soteriology from the Orthodox perspective is achieved not by knowledge of scripture but by being a member of the church or community and cultivating phronema and theosis through participation in the church or community. By the 5th century, the ecclesiology had evolved a hierarchical "pentarchy" or system of five sees (patriarchates), with a settled order of precedence. Rome, as the ancient center and largest city of the empire, was given the presidency or primacy of honor within the pentarchy into which Christendom was now divided. Plainly, this system of patriarchs and metropolitans was exclusively the result of ecclesiastical legislation; there was nothing inherently divine in its origin. None of the five sees, in short, possessed its authority by divine right. Though it was and is still held that the patriarch of Rome was the first among equals. The original Pentarchy of the ancient Roman Empire: East and West. Rome (Sts. Peter and Paul), currently in Italy; the only Pentarch in the Western Roman Empire. The Roman Pentarch is now better known as the Pope of the Roman Catholic Church. Two Patriarchs are noted to have been founded by St Peter, the Patriarch of Rome and the Patriarch of Antioch. The Eastern churches accept Antioch as the church founded by St Peter (see the Greek Orthodox Church of Antioch, Syriac Orthodox Church). It was in the establishment of the Eastern Roman Empire by Emperor Constantine the Great that Christianity was legalized (Edict of Milan, 313). It was not until then, that systematic Roman persecution of Christians stopped, although it did resurface later, though temporarily, under Roman Paganism (Emperor Julian the Apostate). Christianity as Orthodox was not established as the State Religion in the Eastern part of the Roman Empire until Theodosius I convened The First Council of Constantinople or the (second ecumenical council) in 381. This council put an end to the Arianism controversy by establishing the Trinitarian doctrine. Legalization included the calling of the Ecumenical Councils to resolve disputes and establish church dogma on which the entire church would agree. Thus defining what it means to be a Christian in a universal or broad sense of the word the Greek word for universal being katholikós or catholic. These councils being also the continuation of the church council tradition that predated legalization (see Synod). According to Joseph Raya, "Byzantine culture and Orthodoxy are one and the same.". In the 530s the second Church of the Holy Wisdom (Hagia Sophia) was built in Constantinople under emperor Justinian I, to become the center of the ecclesiastical community for the rulers of the Eastern Roman Empire or Byzantium. The first church had been destroyed during the Nika riots. Several doctrinal disputes from the 4th century onwards led to the calling of ecumenical councils which from a traditional perspective, are the culmination and also a continuation of previous church synods. These Pre Ecumenical councils include the Council of Jerusalem c. 50, Council of Rome 155 AD, Second Council of Rome 193 AD, Council of Ephesus 193 AD, Council of Carthage 251 AD, Council of Iconium 258 AD, Council of Antioch, 264 AD, Councils of Arabia- 246-247 AD, Council of Elvira 306 AD, Council of Carthage 311 AD, Synod of Neo-Caesarea c.314 AD Council of Ancyra 314 AD, Council of Arles 314 AD. The first ecumenical council in part was a continuation of Trinitarian doctrinal issues addressed in pre-legalization of Christianity councils or synods (for examples see Synods of Antioch between 264-269AD and Synod of Elvira). These ecumenical councils with their doctrinal formulations are pivotal in the history of Christianity in general and to the history of the Orthodox Church in particular. Specifically, these assemblies were responsible for the formulation of Christian doctrine. 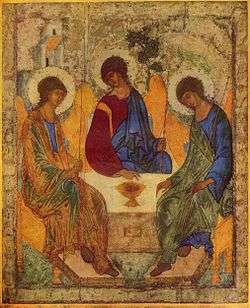 As such, they constitute a permanent standard for an Orthodox understanding of the Trinity, the person or hypostasis of Christ, the incarnation. The tradition of councils within the church started with the apostolic council of Jerusalem, but this council is not numbered as an ecumenical council. It was convened to address the Abrahamic tradition of circumcision and its relation to converted Gentiles (Acts 15). Its decisions are accepted by all Christians, and later definitions of an ecumenical council to conform to this sole Biblical council. The First seven Ecumenical Councils were held between 325 (the First Council of Nicaea) and 787 (the Second Council of Nicaea), which the Orthodox recognize as the definitive interpretation of Christian dogma. convoked by the Roman Emperor Constantine, condemning the view of Arius that the Son is a created being inferior to the Father. defining the nature of the Holy Spirit against those asserting His inequality with the other persons of the Trinity. Under Theodosius I this council marks the end of the Arian conflict in the Eastern Roman Empire..
affirmed that Mary is truly "Birth giver" or "Mother" of God (Theotokos), contrary to the teachings of Nestorius. affirmed that Jesus is truly God and truly man, without mixture of the two natures, contrary to Monophysite teaching. interpreting the decrees of Chalcedon and further explaining the relationship of the two natures of Jesus; it also condemned the teachings of Origen on the pre-existence of the soul, and Apocatastasis. declaring that Christ has two wills of his two natures, human and divine, contrary to the teachings of the Monothelites. called under the Empress Regnant Irene, it affirmed the making and veneration of icons, while also forbidding the worship of icons and the making of three-dimensional statuary. It reversed the declaration of an earlier council that had called itself the Seventh Ecumenical Council and also nullified its status (see separate article on Iconoclasm). That earlier council had been held under the iconoclast Emperor Constantine V. It met with more than 340 bishops at Constantinople and Hieria in 754, declaring the making of icons of Jesus or the saints an error, mainly for Christological reasons. The Orthodox Church does not recognize as dogma any ecumenical councils other than these seven. Orthodox thinking differs on whether the Fourth and Fifth Councils of Constantinople were properly Ecumenical Councils, but the majority view is that they were merely influential rather than dogmatic and therefore not binding. The First Ecumenical Council was convened to address the divinity of Christ once more (see Paul of Samosata and the Synods of Antioch) but this time through the teachings of Arius, an Egyptian presbyter from Alexandria, who taught that Jesus Christ was created, albeit divine, and not God in essence: both the Father and the Son where of "like" essence or being (see homoiousia) but not of the same essence or being (see homoousia). Much of the controversion was over the kenotic phrasing that Christ expressed in the New Testament to express submission to God the Father. This Ecumenical council declared that Jesus Christ was a distinct from God in existence (hypostasis or persona). Jesus was God in essence, being and nature (ousia or substantia). The first council did not end the conflict. When Emperor Constantine I was baptized, the baptism was performed by an Arian bishop and relative, Eusebius of Nicomedia. Also the charges of Christian corruption by Constantine (see the Constantinian shift) ignore the fact that Constantine deposed Athanasius of Alexandria and later restored Arius, who had been branded a heresiarch by the Nicene Council. After his death, Constantine I was succeeded by two Arian Emperors Constantius II (son of Constantine I) and Valens. It was not until the co-reigns of Gratian and Theodosius that Arianism was effectively wiped out among the ruling class and elite of the Eastern Empire. Theodosius' wife St Flacilla was instrumental in his campaign to end Arianism. This later culminated into the killing of some 300,000 Orthodox Christians at the hands of Arians in Milan in 538AD. The Iconoclasm (730–787 and 813–843) was a movement within the Byzantine church to establish that the Christian culture of portraits (see icon) of the family of Christ and subsequent Christians and biblical scenes were not of a Christian origin and therefore heretical. The group destroyed much of the Christian churches' art history, until it was later defined as heretical itself under the Seventh Ecumenical council. The iconoclasts considered the tradition of icons as contrary to the ban on 'graven images'[Exodus 20:4], interpretated in a narrow sense as 'engraved or carved'. This forbade many of the ornaments that Moses was commanded to create in the passages right after the commandment was given, i.e., cherubim. [Exodus 26:1], as well as the Cross and other holy artifacts. The Orthodox Church understands this in a wider sense as a ban on no carved images: the people of God are not to create idols and then worship them. The cracks and fissures in Christian unity which led to the East-West Schism started to become evident as early as the 4th century. Although 1054 is the date usually given for the beginning of the Great Schism, there is, in fact, no specific date on which the schism occurred. What really happened was a complex chain of events whose climax culminated with the sacking of Constantinople by the Fourth Crusade in 1204 . The events leading to schism were not exclusively theological in nature. Cultural, political, and linguistic differences were often mixed with the theological. 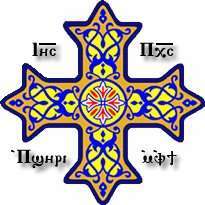 Unlike the Coptics and Armenians, who broke from the Church in the 5th century and established ethnic churches at the cost of their universality and catholicity, the eastern and western parts of the Church remained loyal to the faith and authority of the seven ecumenical councils. They were united, by virtue of their common faith and tradition, in one Church. Nonetheless, the transfer of the Roman capital to Constantinople inevitably brought mistrust, rivalry, and even jealousy to the relations of the two great sees, Rome and Constantinople. It was easy for Rome to be jealous of Constantinople at a time when it was rapidly losing its political prominence. In fact, Rome refused to recognize the conciliar legislation which promoted Constantinople to second rank. But the estrangement was also helped along by the German invasions in the West, which effectively weakened contacts. The rise of Islam with its conquest of most of the Mediterranean coastline (not to mention the arrival of the pagan Slavs in the Balkans at the same time) further intensified this separation by driving a physical wedge between the two worlds. The once homogeneous unified world of the Mediterranean was fast vanishing. Communication between the Greek East and Latin West by the 7th century had become dangerous and practically ceased. Furthermore, the loss of the Patriarchate of Alexandria following the schism regarding the Council of Chalcedon (451), which led to the separation between the Byzantine Church and the Alexandrian Coptic Church, as well as the fall of the Patriarchates of Antioch and Jerusalem following the conquest of Palestine and Syria during the rise of Islam, made the theory of the Pentarchy more of a simple theory, than a practical reality. These events also lead to the Patriarch of Constantinople centralizing more power in his office, acting alone as the sole Patriarch remaining in the East until the fall of the Byzantine Empire in 1453. Two basic problems—the primacy of the bishop of Rome and the procession of the Holy Spirit—were involved. These doctrinal differences were first openly discussed during the patriarchate of Photius I.
Rome began to interpret her primacy among the Pentarchy of five sees in terms of sovereignty, as a God-given right involving universal jurisdiction in the Church. While the Pentarchy had been determined by canonical decision and did not entail hegemony of any one local church or patriarchate over the others, the collegial and conciliar nature of the Church, in effect, was gradually abandoned in favor of a supremacy of unlimited papal power over the entire Church. These ideas were finally given systematic expression in the West during the Gregorian Reform movement of the 11th century. The Eastern churches viewed Rome's understanding of the nature of episcopal power as being in direct opposition to the Church's essentially conciliar structure and thus saw the two ecclesiologies as mutually antithetical. This fundamental difference in ecclesiology would cause all attempts to heal the schism and bridge the divisions to fail. Rome bases her claims to "true and proper jurisdiction" (as the Vatican Council of 1870 put it) on St. Peter. This "Roman" exegesis of Mathew 16:18, however, has been unacceptable for the Orthodox Church. For them, specifically, St. Peter's primacy could never be the exclusive prerogative of any one bishop. All bishops must, like St. Peter, confess Jesus as the Christ and, as such, all are St. Peter's successors. The churches of the East gave the Roman See primacy but not supremacy, i.e. the Pope being the first among equals, but not as an absolute authority with the ability to make infallible statements. In the 9th century AD, a controversy arose between Byzantine and Latin Christianity that was precipitated by the opposition of the Roman Pope John VII to the appointment by the Byzantine emperor Michael III of Photios I to the position of patriarch of Constantinople. 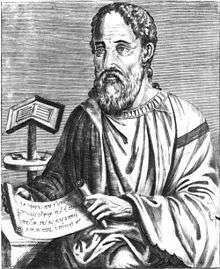 Photius refused to accept the supremacy of the pope in Orthodox matters, or accept the Filioque clause that had been added to the Nicene Creed by the Latin church, and was later the theological breaking point in the ultimate Great Schism in the 11th century. The controversy also involved ecclesiastical jurisdictional rights in the Bulgarian church. Photios did provide concession on the issue of jurisdictional rights concerning Bulgaria, and the papal legates made do with his return of Bulgaria to Rome. This concession, however, was purely nominal, as Bulgaria's return to the Byzantine rite in 870 had already secured for it an autocephalous church. Without the consent of Boris I of Bulgaria, the papacy was unable to enforce any of its claims. When King Rastislav of Moravia asked Byzantine church for teachers who could minister to the Moravians in their own language, Byzantine emperor Michael III chose two brothers, Cyril and Methodius, for the task. As their mother was a Slav from the hinterlands of Thessaloniki, the two brothers had been raised speaking the local Slavonic vernacular. Once commissioned, they set about creating an alphabet for the Slavic language, the Glagolitic alphabet, and then translated the Scripture and the liturgy into Slavonic. This Slavic dialect became the basis of Old Church Slavonic which later evolved into Church Slavonic which is the common liturgical language still used by most Slavic Orthodox Churches. In Great Moravia, the two brothers encountered Frankish missionaries from Germany, who represented the Latin branch of the Church, more particularly representing the Holy Roman Empire as founded by Charlemagne, and committing to linguistic and cultural uniformity. They insisted on the use of the Latin liturgy, and regarded Moravia as their rightful mission field. When friction developed, the brothers, unwilling to be a cause of dissension among Christians, traveled to Rome to see the Pope, seeking his approval of their missionary work and the use of Slavonic liturgy which would allow them to continue their work. Pope Adrian II gave Methodius the title of Archbishop of Sirmium (now Sremska Mitrovica in Serbia) and sent him back in 869, with jurisdiction over all of Moravia and Pannonia, and the authorization to use the Slavonic Liturgy. Constantine entered a monastery in Rome, taking the name Cyril, by which he is now remembered; he died only a few weeks thereafter. Not long after, Prince Ratislav, who had originally invited the brothers to Moravia, died, and his successor did not support Methodius. In 870 the Frankish king Louis and his bishops deposed Methodius at a synod at Ratisbon, and imprisoned him for a little over two years. Pope John VIII secured his release, but instructed him to stop using the Slavonic Liturgy. In 878, Methodius was summoned to Rome on charges of heresy and of using Slavonic liturgy. Pope John was convinced by the arguments Methodius made in his defense and sent him back cleared of all charges, and with permission to use Slavonic. The Carolingian bishop who succeeded him, Wiching, suppressed the Slavonic Liturgy and forced the followers of Methodius into exile. Many found refuge with King Boris of Bulgaria (852-889), who commissioned them to establish schools where Bulgarian clergymen received theological education in the Slavic language, with the goal of replacing the mainly Greek clergy present in Bulgaria at the time. Meanwhile, Pope John's successors adopted a Latin-only policy for the Western Church which lasted for centuries. In the 9th and 10th centuries, Christianity made great inroads into Eastern Europe: first in Bulgaria and Serbia, then followed by Kievan Rus'. The evangelization, or Christianization, of the Slavs was initiated during the administration of one of Byzantium's most learned churchmen, the Patriarch Photios (the "Godfather of all Slavs"). For a period of time, there was a real possibility that all of the newly baptized South Slav nations, Bulgarians, Serbs, and Croats would join the Western church, but in the end, only the Croats joined. The Serbs were baptised during the reign of Heraclius (610–641) by "elders of Rome" according to Constantine Porphyrogenitus in his annals (r. 913–959). The forming of Christianity as state religion dates to the time of the Byzantine Christian missionaries (Saints) Cyril and Methodius during Basil I (r. 867–886), who baptised the Serbs sometime before helping Knez Mutimir in the war against the Saracens in 869, after acknowledging the suzerainty of the Byzantine Empire. A Serbian bishopric (Diocese of Ras) may have been founded in Stari Ras in 871 by Serbian Knez Mutimir, confirmed by the Council of Constantinople in 879–80. The Serbs and Bulgarians adopt the Old Slavonic liturgy instead of the Greek. In 863, a mission from the Patriarch of Constantinople converted King Boris I of Bulgaria to Christianity. Boris realized that the Christianization of his subjects by the Byzantine mission would facilitate the undesired spread of Byzantine influence in Bulgaria, as the liturgy was carried out in the Greek language, and the newly established Bulgarian Church was subordinate to the Church of Constantinople. A popular revolt against the new religion prompted the King to request that the Bulgarian Church be granted independence, which was refused by Constantinople. Boris turned to the Pope, and the arrival of the Roman clerical mission concluded the activity of the Byzantine mission, which was ordered by the King to leave Bulgaria. Constantinople nervously watched the events taking place in their northern neighbour, because a pro-Rome Bulgaria threatened its immediate interests. A religious council was held in the summer of 867 in the Byzantine capital, during which the Roman Church's behaviour was harshly condemned. As a personal culprit, Pope Nicholas I was anathematized. In a letter to Boris, the Byzantine emperor Michael III expressed his disapproval of Bulgaria's religious reorientation and used offensive language against the Roman Church. The old rivalry between the two Churches burned with new power. The Roman mission's efforts were met with success and King Boris asked Pope Nicolas I to appoint Formosa of Portua as Bulgarian Archbishop. The Pope refused, and his successor Pope Adrian II turned out to be even more disinclined to comply, so Boris turned again to Constantinople. This resulted in the creation of an autonomous national (Bulgarian) Archbishopric. In the next 10 years, Pope Adrian II and his successors made desperate attempts to reclaim their influence in Bulgaria, but their efforts ultimately failed. The foundations of the Bulgarian national Church had been set. The next stage was the implementation of the Glagolitic alphabet and the Slavonic language as official language of the Bulgarian Church and State in 893 AD. St. Clement, St. Naum and St. Angelaruis returned to Bulgaria, where they managed to instruct several thousand future Slavonic clergymen in the rites using the Slavic language and the Glagolitic alphabet. In 893 AD, Bulgaria expelled its Byzantine clergy and proclaimed the Slavonic language as the official language of the Bulgarian Church and State. Under church tradition the practice of Hesychasm has it beginnings in the bible, Matthew 6:6 and the Philokalia. It is a form of constant purposeful prayer or experiential prayer, explicitly referred to as contemplation. The tradition of contemplation with inner silence or tranquility is shared by all Eastern asceticism movements, having its roots in the Egyptian traditions of monasticism exemplified by such Orthodox monastics as St Anthony of Egypt. The Hesychasts stated that at higher stages of their practice they reached the actual contemplation-union with the Tabor Light, i.e., Uncreated Divine Light or photomos seen by the apostles in the event of the Transfiguration of Christ and Saint Paul while on the road to Damascus. It is depicted in icons and theological discourse as tongues of fire. Around the year 1337, Hesychasm attracted the attention of a learned member of the Orthodox Church, Barlaam, a Calabrian monk who at that time held the office of abbot in the Monastery of St Saviour's in Constantinople and who visited Mount Athos. There, he encountered Hesychasts and heard descriptions of their practices, also reading the writings of the teacher in Hesychasm of St Gregory Palamas, himself an Athonite monk. Trained in Scholastic theology, Barlaam was scandalized by Hesychasm and began to campaign against it. As a teacher of theology in the Scholastic mode, Barlaam propounded a more intellectual and propositional approach to the knowledge of God than the Hesychasts taught. In particular, he took exception to the Hesychasts doctrine to the nature of the uncreated light, the experience of which was said to be the goal of Hesychast practice. Barlaam held this concept to be polytheistic, inasmuch as it postulated two eternal substances, a visible (immanent) and an invisible God (transcendent). 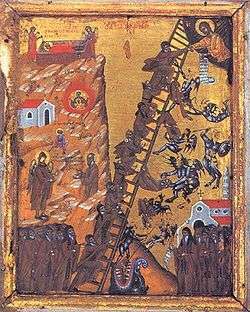 On the Hesychast side, the controversy was taken up by Antonite St Gregory Palamas, afterwards Archbishop of Thessalonica, who was asked by his fellow monks on Mt Athos to defend Hesychasm from Barlaam's attacks. St Gregory was well-educated in Greek philosophy (dialectical method) and thus able to defend Hesychasm. In 1341 the dispute came before a synod held at Constantinople and was presided over by the Emperor Andronicus; the synod, taking into account the regard in which the writings of the pseudo-Dionysius were held, condemned Barlaam, who recanted and returned to Calabria, becoming a bishop in the Roman Catholic Church. Three other synods on the subject were held, at the second of which the followers of Barlaam gained a brief victory. 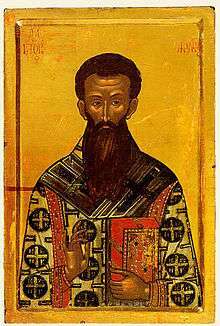 In 1351, at a synod under the presidency of Emperor John VI Cantacuzenus, Hesychast doctrine and Palamas' Essence-Energies distinction was established as the doctrine of the Orthodox Church. One of Barlaam's friends, Gregory Akindynos, who originally was also a friend of Gregory's, later took up the controversy. Another opponent of Palamism was Manuel Kalekas who sought to reconcile the Eastern and Western Churches. Following the decision of 1351, there was strong repression against anti-Palamist thinkers, who ultimately had no choice but to emigrate and convert to Catholicism. This exodus of highly educated Greek scholars, later reinforced by refugees following the Fall of Constantinople of 1453, had a significant influence on the first generation (that of Petrarca and Boccaccio) of the incipient Italian Renaissance. With the elevation of Christianity to the status of a legal religion within the Roman Empire by Constantine the Great, with the edict of Milan (313), many Orthodox felt a new decline in the ethical life of Christians. In reaction to this decline, many refused to accept any compromises and fled the world or societies of mankind, to become monastics. Monasticism thrived, especially in Egypt, with two important monastic centers, one in the desert of Wadi Natroun, by the Western Bank of the Nile, with Abba Ammoun (d. 356) as its founder, and one called Scetis in the desert of Skete, south of Nitria, with Saint Makarios of Egypt (d. ca. Egypt 330) as its founder. These monks were anchorites, following the monastic ideal of St. Anthony the Great, Paul of Thebes and Saint Pachomius. They lived by themselves, gathering together for common worship on Saturdays and Sundays only. This is not to say that Monasticism or Orthodox Asceticism was created whole cloth at the time of legalization but rather at the time it blossomed into a mass movement. Charismatics as the ascetic movement was considered had no clerical status as such. Later history developed around the Greek (Mount Athos) and Syrian (Cappadocia) forms of monastic life, along with the formation of Monastic Orders or monastic organization. The three main forms of Ascetics' traditions being Skete, Cenobite and Hermit respectively. The final breach between Greeks and Latins is often considered to have arisen after the capture and sacking of Constantinople by the Fourth Crusade in 1204. Crusades against Orthodox Christians by Roman Catholic crusaders were not exclusive to this crusade nor the Mediterranean. The sacking of Constantinople and the Church of Holy Wisdom, the destruction of the Monastery of Stoudios, Library of Constantinople and the establishment of the Latin Empire in Constantinople and also throughout West Asia Minor and Greece (see the Kingdom of Thessalonica, Kingdom of Cyprus) are considered definitive though. This is in light of Roman Catholic atrocities not exclusive to the capital city of Constantinople in 1204 starting the period in Greece referred to as Frangokratia. The establishment of the Latin Empire in 1204 was intended to supplant the Orthodox Byzantine Empire. This is symbolized by many Orthodox churches being converted into Roman Catholic properties and churches like Hagia Sophia and Church of the Pantokrator, and it is viewed with some rancor to the present day. Some of the European Christian community actively endorsed the attacking of Orthodox Christians. The Teutonic Order's failed attempts to conquer Orthodox Russia (particularly the Republics of Pskov and Novgorod), an enterprise endorsed by Pope Gregory IX, can also be considered as a part of the Northern Crusades. One of the major blows for the idea of the conquest of Russia was the Battle of the Ice in 1242. With or without the Pope's blessing, Sweden also undertook several crusades against Orthodox Novgorod. Many Orthodox saw the actions of the Catholics in the Mediterranean as a prime determining factor in the weakening of Byzantium which led to the Empire's eventual conquest and fall to Islam. Some Orthodox see a continuation of Roman Catholic hostility in the establishment of the Uniate or Eastern Catholic Churches (see the sainting of Bissarion in 1950). In 2004, Pope John Paul II extended a formal apology for the sacking of Constantinople in 1204; the apology was formally accepted by Patriarch Bartholomew of Constantinople. Many things that were stolen during this time: holy relics, riches, and many other items, are still held in various Western European cities, particularly Venice. After the Sack of Constantinople in 1204 AD by Roman Catholic Crusaders as part of the fourth crusade, much of Asia Minor was brought under Roman Catholic rule and the Latin Empire of the East was established. As the conquest by the European crusaders was not exclusive to the fourth crusade, many various kingdoms of European rule were established. After the fall of Constantinople to the Latin West, the Empire of Nicaea was established, which was later to be the origin of the Greek monarchy that defeated the Latin forces of Europe and re-established Orthodox Monarchy in Constantinople and Asia Minor. In 1453AD, the city of Constantinople the last stronghold of the Byzantine Empire fell to the Ottoman Empire. By this time, Egypt had been under Muslim control for some seven centuries. Jerusalem had been conquered by the Umayyad Muslims in 638, won back by Rome in 1099 under the First Crusade and then finally reconquered by the Ottoman Muslims in 1517. Under Ottoman rule, the Greek Orthodox Church acquired power as an autonomous millet. The ecumenical patriarch was the religious and administrative ruler of the entire "Orthodox nation" (Ottoman administrative unit), which encompassed all the Orthodox subjects of the Empire, but was dominated by ethnic Greeks. The Ottoman Empire was marked by periods of tolerance and periods of often bloody repression of non-Muslims. One of the worst such episodes occurred under Yavuz Sultan Selim I. These event include the atrocities against, among others, the Serbs in AD 1804-1878 the Greeks in AD 1814-1832, and the Bulgarian AD 1876-1877 (also see Phanariote). As well as many individual Christians being made martyrs for stating their faith or speaking negatively against Islam. The Orthodox Church was an accepted institution under the Ottomans, in contrast to Catholicism which was associated with enemy Austria, and actually grew in size during Ottoman rule. 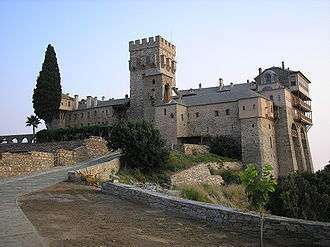 This included the building of churches and monasteries. Its administration continued to function though in lesser degree, no longer being the state religion. One of the first things that Mehmet the Conqueror did was to allow the Church to elect a new patriarch, Gennadius Scholarius. 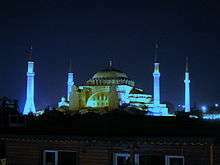 The Hagia Sophia and the Parthenon, which had been Christian churches for nearly a millennium were converted into mosques, yet most other churches, both in Constantinople and elsewhere, remained in Christian hands. They were endowed with civil as well as ecclesiastical power over all Christians in Ottoman territories. Because Islamic law makes no distinction between nationality and religion, all Christians, regardless of their language or nationality, were considered a single millet, or nation. The patriarch (usually an ethnic Greek) as the highest ranking hierarch, was thus invested with civil and religious authority and made ethnarch, head of the entire Christian Orthodox population. Practically, this meant that all Orthodox Churches within Ottoman territory were under the control of Constantinople. Thus, the authority and jurisdictional frontiers of the patriarch were enormously enlarged. The fall of the Ottoman was precipitated by the Roman Catholic and Orthodox disputed possession of the Church of the Nativity and the Church of the Holy Sepulchre in Jerusalem. During the early 1850s, the two sides made demands which the Sultan could not possibly satisfy simultaneously. In 1853, the Sultan adjudicated in favour of the French, despite the vehement protestations of the local Orthodox monks. The ruling Ottoman siding with Rome over the Orthodox provoked outright war (see the Eastern Question). As the Ottoman Empire had been for sometime falling into political, social and economic decay (see the Sick Man of Europe) this conflict ignited the Crimean War in 1850 between Russia and the Ottoman Empire. Persecution by the "Young Turks"
During 1894-1923 the Ottoman Empire conducted a policy of genocide against the Christian population living within its extensive territory. The Sultan, Abdul Hamid, issued an official governmental policy of genocide against the Armenians of the Ottoman Empire in 1894. Systematic massacres took place in 1894-1896 when Abdul savagely killed 300,000 Armenians throughout the provinces. In 1909 government troops killed, in the towns of Adana alone, over 20,000 Christian Armenians. Also, in the first two decades of the 20th century, there were massacres of Greeks, Slavs, and Armenians in the Ottoman Empire, culminating in the Armenian, Greek and Assyrian genocides. As a result, the 20th century saw a sharp decline of the number of Orthodox Christians, and of Christians in general, in the Anatolian peninsula amidst complaints of Turkish governmental repression of various Eastern and Oriental Orthodox groups. During the Lausanne Conference in 1923, the Turkish and Greek sides after some discussions accepted the proposal of a population exchange. Muslims in Greece (save the ones in Eastern Thrace) were expelled to Turkey, and Greek Orthodox people in Turkey (save the ones in Istanbul) were expelled to Greece. In September 1955, a pogrom was directed primarily at Istanbul's 100,000-strong Greek minority. In 1971, the Halki seminary in Istanbul was closed along with other private higher education institutions in Turkey. The modern Turkish state requires the Patriarch of Constantinople to be a Turkish citizen but allows the Synod of Constantinople to elect him. Orthodoxy under the Palestinian National Authority (including Gaza). Orthodoxy in Saudi Arabia, Yemen, Jordan, Syria, Iran, Iraq, Afghanistan, Tajikistan, Kazakhstan, Uzbekistan, Turkmenistan (see Melkite and Kurdish Christians). The Stone of the Anointing, believed to be the place where Jesus' body was prepared for burial. It is the 13th Station of the Cross. The Orthodox Patriarch of Jerusalem and the ecclesiastics of the Orthodox church are based in the ancient Church of the Holy Sepulchre constructed in 335 AD. The success of the conversion of the Bulgarians facilitated the conversion of other East Slavic peoples, most notably the Rus', predecessors of Belarusians, Russians, and Ukrainians. By the beginning of the 11th century most of the Slavic world, including, Bulgaria, Serbia, and Russia had converted to Orthodox Christianity. Bulgaria's Church was officially recognized as a Patriarchate by Constantinople in 927, Serbia's in 1346, and Russia's in 1589. All these nations, however, had been converted long before these dates. The traditional event associated with the conversion of Russia is the baptism of Vladimir of Kiev in 989, on which occasion he was also married to the Byzantine princess Anna, the sister of the Byzantine Emperor Basil II. However, the presence of Christianity in these areas is documented to have predated this event. Russia's patriarchate, which was never part of the Ottoman Empire, was recognized by Constantinople in 1589. Through a series of Wars with the World of Islam the church did indeed establish itself as the protector of Orthodoxy (see the Eastern Question and the Russo-Turkish wars). Today, Russia ranks fifth after the four ancient patriarchates of Constantinople, Alexandria, Antioch, and Jerusalem. Russia lay under Mongol rule from the 13th through the 15th century. The Mongol invasion of Rus of 1237–1242AD lead to what is called the Tatar period in Russian History. This period lead to great calamity for the internal structure of Russia. Much of Russia was ruled by Mongols and Russian Princes (of whom had limited power). The eventual end of the reign of the Golden Horde is said to have begun with the Battle of Kulikovo 8 September 1380. Which involves the famous Orthodox legend of Monk and Russian champion Alexander Peresvet and his death that mark the battle's beginning. The final pseudo-battle or face off that ended Mongol rule in Russia was the Great stand on the Ugra river in 1480AD. The death toll (by battle, massacre, flooding, and famine) of the Mongol wars of conquest is placed at about 40 million according to some sources. The Russian Orthodox Church held a privileged position in the Russian Empire, expressed in the motto, Orthodoxy, Autocracy, and Nationality, of the late Russian Empire. It obtained immunity from taxation in 1270, and was allowed to impose taxes on the peasants. At the same time, it was placed under the control of the Tsar by the Church reform of Peter I in the 1721, who replaced the Russian patriarchate by the Most Holy Synod, which was run by an official, titled Ober-Procurator, appointed by the Tsar himself. The Synodal Period that followed lasted until the Bolshevik Revolution, when the patriarchate was once again restored (1917). The church was involved in various campaigns of russification, and, as a consequence, it was accused of participating in anti-Jewish pogroms. In the case of anti-semitism and the anti-Jewish pogroms, no evidence is given of the direct participation of the church; it is important to remember that many Russian Orthodox clerics, including senior hierarchs, openly defended persecuted Jews, at least starting with the second half of the 19th century. Also, the Church has no official position on Judaism as such. In modern times, Aleksandr Solzhenitsyn has been accused of antisemitism for his book Two Hundred Years Together, where he alleges Jewish participation in the political repression of the Soviet regime (see also Hebrew and Byzantine relations). Solzhenitsyn's book Two Hundred Years Together is a historical study of the relationship between Russian Orthodox Christians and Jews in Russia from 1772 to modern times. Before and after the October Revolution of 7 November 1917 (October 25 Old Calendar) there was a movement within the Soviet Union to unite all of the people of the world under Communist rule (see Communist International). This included the Eastern European bloc countries as well as the Balkan States. Since some of these Slavic states tied their ethnic heritage to their ethnic churches, both the peoples and their church were targeted by the Soviet and its form of State atheism. The Soviets' official religious stance was one of "religious freedom or tolerance", though the state established atheism as the only scientific truth. Criticism of atheism was strictly forbidden and sometimes resulted in imprisonment. The Soviet Union was the first state to have as an ideological objective the elimination of religion. Toward that end, the Communist regime led by such figures as Felix Dzerzhinsky and Lavrentiy Beria of the Cheka confiscated and destroyed church property (see Kamoyants St. Gevorg), ridiculed religion, harassed believers, and propagated atheism in the schools. Actions toward particular religions, however, were determined by State interests, and most organized religions were never outlawed. It is estimated that some 20 million Christians (17 million Orthodox and 3 million Roman Catholic) died or were interned in gulags. Some actions against Orthodox priests and believers along with execution included torture being sent to prison camps, labour camps or mental hospitals. The result of state sponsored atheism was to transform the Church into a persecuted and martyred Church. In the first five years after the Bolshevik revolution, 28 bishops and 1,200 priests were executed. The main target of the anti-religious campaign in the 1920s and 1930s was the Russian Orthodox Church, which had the largest number of faithful. Nearly all of its clergy, and many of its believers, were shot or sent to labor camps. Theological schools were closed, and church publications were prohibited. In the period between 1927 and 1940, the number of Orthodox Churches in the Russian Republic fell from 29,584 to less than 500. Between 1917 and 1940, 130,000 Orthodox priests were arrested. The widespread persecution and internecine disputes within the church hierarchy lead to the seat of the Patriarch of Moscow being vacant from 1925 to 1943. Some 20,000 people executed just outside Butovo a good percentage of which were Orthodox clergy, ascetics and laymen. After Nazi Germany's attack on the Soviet Union in 1941, Joseph Stalin revived the Russian Orthodox Church to intensify patriotic support for the war effort. By 1957 about 22,000 Russian Orthodox churches had become active. But in 1959 Nikita Khrushchev initiated his own campaign against the Russian Orthodox Church and forced the closure of about 12,000 churches. By 1985 fewer than 7,000 churches remained active. In the Soviet Union, in addition to the methodical closing and destruction of churches, the charitable and social work formerly done by ecclesiastical authorities was taken over by the state. As with all private property, Church owned property was confiscated into public use. The few places of worship left to the Church were legally viewed as state property which the government permitted the church to use. Outside of sermons during the celebration of the divine liturgy it could not instruct or evangelise to the faithful or its youth. Catechism classes, religious schools, study groups, Sunday schools and religious publications were all illegal and or banned. This persecution continued, even after the death of Stalin until the dissolution of the Soviet Union in 1991. Since the fall of the Soviet Union, the Russian Orthodox Church has recognized a number of New Martyrs as saints. Enei Church, central Bucharest, Romania. It was purposely demolished by the Communist authorities at 10 March 1977 after the Vrancea earthquake. Albania was the first state to have declared itself officially fully atheist. In some other communist states such as Romania, the Orthodox Church as an organisation enjoyed relative freedom and even prospered, albeit under strict secret police control. That, however, did not rule out demolishing churches and monasteries as part of broader systematization (urban planning), state persecution of individual believers, and Romania stands out as a country which ran a specialised institution where many Orthodox (along with peoples of other faiths) were subjected to psychological punishment or torture and mind control experimentation in order to force them give up their religious convictions (see Piteşti prison). However, this was only supported by one faction within the regime, and lasted only three years. The Communist authorities closed down the prison in 1952, and punished many of those responsible for abuses (twenty of them were sentenced to death). An early medieval mission of the Assyrian Church of the East brought Christianity to China, but it was suppressed in the 9th century. Christianity of that period is commemorated by the Nestorian Stele and Daqin Pagoda of Xi'an. The Chinese Orthodox Church was an autonomous Orthodox church in China, which, prior to the Cultural Revolution in 1966, was estimated to have as many as twenty thousand members. Nowadays, Orthodox Christianity is practiced primarily by the ethnic Russian minority in China. Eastern Orthodoxy arrived in China via Siberia in 1685. In that year, the Kangxi Emperor resettled 31 inhabitants from the captured fort of Albazin on the Amur River. Maxim Leontiev, the priest who led the 30 others, dedicated the first Orthodox church in Beijing. Their descendants, or Albazinians, though thoroughly Sinicized in other respects, still adhere to Orthodoxy. The first mission establishment was begun in 1715 at Beijing by an Orthodox Archimandrite, Hilarion. Under Sava Vladislavich's pressure, the Chinese conceded to the Russians the right to build an Orthodox chapel at the ambassadorial quarters of Beijing. The intention of the mission was not to evangelize among the Chinese but merely to serve as chaplains to the original mission and, later, to the Russian diplomatic mission staff as well. In the first 150 years of its presence in China, the church did not attract a large following. In 1860 it was estimated that there were no more than 200 Orthodox Christians in Beijing, including the descendants of naturalized Russians. There was, however, a resurgence in membership after 1860. The Boxer Rebellion of 1898–1900 saw violent attacks on Chinese converts to Christianity. Some Orthodox Chinese were among those killed, and in June every year the 222 Chinese Orthodox, including Father Mitrophan, who died in 1900 are commemorated as remembered on the icon of the Holy Martyrs of China. The mission's library at Beijing was also burned down. In spite of the uprising, by 1902 there were 32 Orthodox churches in China, with close to 6,000 adherents. The church also ran schools and orphanages. A total of 106 Orthodox churches had opened in China by 1949. In general the parishioners of these churches were Russian refugees, and the Chinese part was composed of about 10,000 people. The Chinese Orthodox Church was virtually obliterated by the Cultural Revolution, during which many churches were destroyed. Although the People's Republic of China extends official recognition to some religious communities (Protestantism, Islam, Taoism, and Buddhism), Orthodox Christianity and Roman Catholicism are not among them (though with the latter, the Chinese government had formed a "Patriotic Catholic Church" or "Patriotic Catholic Association" that is not in communion with Rome). The officially declared reason for the government's non-recognition of the Orthodox Church is the government's fear that external political forces from outside nations—in this case, primarily Russia—could achieve influence within China. This places the Church in the legal status of religia-illicitata. Several Orthodox congregations continue to meet in Beijing and northeast China (in Heilongjiang and elsewhere), with, apparently, the tacit consent of the government. There are also Orthodox parishes in Shanghai, Province of Guangdong, as well as in Hong Kong and Taiwan, where the church operates relatively freely. Although many of them have adopted Lamaism – which is the mainstream form of Tibetan Mahayana Buddhism – the Evenks of both the Russian Federation and the People's Republic of China are a nominally Orthodox Christian people. Along with their Evenks cousins and a few other tribes in Siberia or in China, they are some of the only Asiatic peoples who nominally practice Orthodox Christianity, which they had voluntarily (as opposed to being coerced to do so) adopted during contacts from Russian expansion into Siberia. The Eastern Catholic churches make up 2% of the membership of the Roman Catholic Church and less than 10% of all Eastern Christians. Most Eastern Catholic churches have counterparts in other Eastern churches, whether Assyrian or Oriental Orthodox, from whom they are separated by a number of theological differences, or the Eastern Orthodox churches, from whom they are separated primarily by differences in understanding of the role of the Bishop of Rome within the College of Bishops. The Eastern Catholic churches were located historically in Eastern Europe, the Asian Middle East, Northern Africa and India, but are now, because of migration, found also in Western Europe, the Americas and Oceania. The Maronite Church and the Syro-Malabar Church are Eastern Catholic churches that never broke communion with the Church of Rome. Within the Antiochian church the Eastern Catholic movement started after the Ottoman Turks' conquest of Antioch in the early 15th century, under whose control it remained until the breakup of the Ottoman Empire at the end of World War I. During this period, in 1724, the Church of Antioch was again weakened by schism, as a major portion of its faithful came into communion with the Roman Catholic Church. The resultant Uniate body is known as the Melkite Greek Catholic Church, which maintains close ties with the Orthodox and is holding ongoing talks about healing the schism. The Uniate movement within East-Central Europe was started with the 1598–1599 Union of Brest, by which the "Metropolia of Kiev-Halych and all Rus'" entered into relationship with the Roman Catholic Church. A century later, a similar movement occurred in Romania, as described on the website of Delia Despina Dumitrica. Since the beginnings of the Uniate movement, there have been periodic conflicts between the Orthodox and Uniate in Poland and Western Russia. During the Time of Troubles there was a plan (by the conquering Polish monarchy) to convert all of Russia to Roman Catholicism. Patriarch Hermogenes was martyred by the Roman Catholics during this period (see also Polish-Lithuanian-Muscovite Commonwealth). The Eastern Catholic churches consider themselves to have reconciled the East and West Schism by keeping their prayers and rituals similar to those of Eastern Orthodoxy, while also accepting the primacy of the Bishop of Rome. In the 20th century, there have been conflicts which involved forced conversions both by the Roman Catholics and the Orthodox. In Croatia, the Ustaše forced the conversion of Orthodox to Roman Catholicism. Other forced conversions included the Roman Catholics inside the USSR and Eastern Bloc after the October Revolution. At a meeting in Balamand, Lebanon in June 1993, the Joint International Commission for the Theological Dialogue between the Roman Catholic Church and the Orthodox Church declared that these initiatives that "led to the union of certain communities with the See of Rome and brought with them, as a consequence, the breaking of communion with their Mother Churches of the East ... took place not without the interference of extra-ecclesial interests" (section 8 of the document); and that what has been called "uniatism" "can no longer be accepted either as a method to be followed nor as a model of the unity our Churches are seeking" (section 12). During the Second World War, two groups of Orthodox Christians were especially targeted for genocide by the Nazis and their allies – the Gypsies and the Orthodox Serbs of Bosnia and Croatia, while the population of Greece, Serbia, European Russia, and Ukraine were designated by the Nazis to serve as slave labor for the Third Reich. By special order of Heinrich Himmler (21 April 1942), clergymen from the East (as opposed to their counterparts from Western Europe) were to be used for hard labor (also see Alfred Rosenberg). One of the most striking developments in modern historical Orthodoxy is the dispersion of Orthodox Christians to the West. Emigration from Greece and the Near East in the last hundred years has created a sizable Orthodox diaspora in Western Europe, North and South America, and Australia. In addition, the Bolshevik Revolution forced thousands of Russian exiles westward. As a result, Orthodoxy's traditional frontiers have been profoundly modified. Millions of Orthodox are no longer geographically "eastern" since they live permanently in their newly adopted countries in the West. Nonetheless, they remain Orthodox in their faith and practice. Virtually all the Orthodox nationalities – Greek, Arab, Russian, Serbian, Albanian, Ukrainian, Romanian, Bulgarian – are represented in the United States. 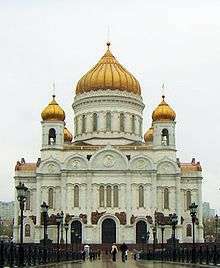 The various autocephalous and autonomous churches of the Orthodox Church are distinct in terms of administration and local culture, but for the most part exist in full communion with one another, with exceptions such as lack of relations between the Russian Orthodox Church Outside Russia (ROCOR) and the Moscow Patriarchate (the Orthodox Church of Russia) dating from the 1920s and due to the subjection of the latter to the hostile Soviet regime. 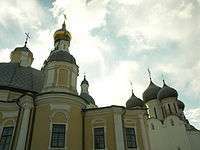 However, attempts at reconciliation were made between the ROCOR and the Moscow Patriarchate with the ultimate purpose of reunification being reached on 17 May 2007. Further tensions exist between the New Calendarists and the Old Calendarists. Greek Orthodox Church of Antioch. The community and seat of the patriarchate according to Orthodox tradition was founded by St Peter and the given to St Ignatius, in what is now Turkey. However, in the 15th century, it was moved to Damascus in response to the Ottoman invasion of Antioch. Its traditional territory includes Syria, Lebanon, Iran, Iraq, Kuwait and parts of Turkey, while there is a large autonomous diaspora diocese in North America. The current Greek Orthodox Patriarchate of Antioch and All the East which is considered by the other bishops of the Orthodox Church to be the sole legitimate heir to the See of Antioch. Church of Greece. Influenced by the French Revolution's explosive ideas, Greece was the first to break the Turkish yoke, winning its independence early in the 19th century in the Greek War of Independence. Before long, a synod of bishops declared the Church of the new Kingdom of Greece autocephalous. The new Greek nation, in short, could not be headed by the patriarch. Indeed, Greece's autocephalous status, recognized by Constantinople in 1850, meant that it could elect its own head or kephale. The Church of Greece is today governed by a Holy Synod presided over by the Archbishop of Athens. Church of Cyprus. Since the fall of the Ottoman Empire, the Church of Cyprus has been engaged in a struggle between rejoining the mainland Church of Greece, being reunited with the Turkish state and independence. Greek Orthodox Church of Alexandria claims succession from the Apostle Mark the Evangelist who founded the Church in the 1st century, and therefore the beginning of Christianity in Africa. It is one of the five ancient patriarchates of the early Church, called the Pentarchy. Sometimes called the Greek Orthodox Patriarchate of Alexandria to distinguish it from the Coptic Orthodox Patriarchate of Alexandria. In Egypt, members of the Greek Orthodox Patriarchate were also called Melkite, because the favorable orientation of the Byzantine Emperor towards the Council of Chalcedon. The term Melkite is currently used to describe the Melkite Greek Catholic Church members. Since the schism occurring as a result of the political and Christological controversies at the Council of Chalcedon (451), the Greek Orthodox have liturgically been Greek-speaking. After the Arab conquest of North Africa in the 7th century the Orthodox were a minority even among Christians, and remained small for centuries. Today, the Patriarchate of Alexandria in Egypt comprises some 300,000 Orthodox Christians, the highest number since the Roman Empire. Georgian Orthodox Church. The first Eparchy was founded in Georgia, traditionally by the Apostle Andrew. In 327, Christianity was adopted as the state religion by the rulers of Iberia (Eastern Georgia). From the 320s, the Georgian Orthodox Church was under the jurisdiction of the Apostolic See of Antioch. The Georgian Orthodox Church become autocephalous (independent) in 466 when the Patriarchate of Antioch elevated the Bishop of Mtskheta to the rank of "Catholicos of Kartli". On March 3, 1990, the Patriarch of Constantinople re-approved the autocephaly of the Georgian Orthodox Church (which had in practice been exercised or at least claimed since the 5th century) as well as the Patriarchal honour of the Catholicos. Today the Georgian Orthodox Church has around 5 million members around the world (of whom about 3,670,000 live within Georgia) and administers, as of 2007, 35 eparchies (dioceses). The Bulgarian Orthodox Church lost its autocephalous status after the fall of Bulgaria to the Ottoman Empire. Bulgarian autocephaly was restored in 1953. Serbian Orthodox Church gained autocephaly in 1219, patriarchate status in 1345, while it was abolished in long periods during the Ottoman period. The Patriarchate was reunited in 1919–22. Romanian Orthodox Church. Today the largest self-governing Church after Russia, it was declared autocephalous in 1885 and became a patriarchate in 1925. 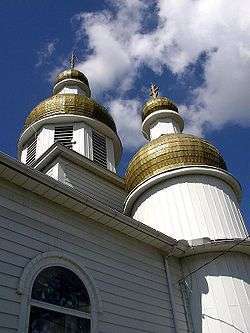 Oriental Orthodox Churches. The Orthodox Church is often referred to as Eastern Orthodox Church in order to distinguish it from the Oriental Orthodoxy (despite the fact that eastern and oriental are synonyms). The (Eastern) Orthodox Church strives to keep the faith of the seven Ecumenical Councils. In contrast, the term "Oriental Orthodoxy" refers to the churches of Eastern Christian traditions that keep the faith of only the first three ecumenical councils. Both the Eastern Orthodox and Oriental Orthodox churches formally believe themselves to be the continuation of the true church and the other to have fallen into schism, although in the past 20 years much work has been done toward ecumenism or reconciliation between the Oriental and Eastern Orthodox churches. There has been an attempt to achieve ecumenism (Russian: sobornost) between the Antiochian and Oriental Orthodox churches. At Chambesy in Switzerland, plenary talks were held resulting in agreements in 1989, 1990 and 1993. All official representatives of the Eastern Orthodox and the Oriental Orthodox reached agreement in these dialogues that the Christological differences between the two communions are more a matter of emphasis than of substance. Although elements in a number of the Eastern Orthodox Churches have criticized the apparent consensus reached by the representatives at Chambesy, the patriarch and holy synod of the Antiochian Orthodox Church welcomed the agreements as positive moves towards a sharing in the Love of God, and a rejection of the hatred of insubstantial division. As recommended in the Second Chambesy Agreement of 1990, the Antiochian (Eastern) Orthodox Patriarch Ignatius IV formally met with the Syriac (Oriental) Orthodox Patriarch, Ignatius Zakka I, on 22 July 1991. At that meeting, the two patriarchs signed a pastoral agreement which called for "complete and mutual respect between the two churches. " "Antiochian Orthodox Archidioces of Australia & New Zealand". It also prohibited the passing of faithful from one church to the other, envisaged joint meetings of the two holy synods when appropriate, and provided for future guidelines for inter-communion of the faithful and Eucharistic concelebration by the clergy of the two churches. The Church of Antioch expects these guidelines to be issued when the faithful of both churches are ready, but not before. Patriarch Ignatius has also overseen participation in a bilateral commission with the Melkite Greek Catholic Church, which is exploring ways of healing the 18th century schism between the Melkite Catholics and the Antiochian Orthodox. In an unprecedented event, Melkite Patriarch Maximos V addressed a meeting of the Orthodox holy synod in October 1996. The members of the holy synod of Antioch continue to explore greater communication and more friendly meetings with their Syriac, Melkite, and Maronite brothers and sisters, who all share a common heritage. The Orthodox Churches in Czechoslovakia, East Germany, Hungary, and Poland have seen drastic changes since the fall of Communism. The Czech Church has recognized contemporary New Martyrs, such as Gorazd (Pavlik) of Prague. The Albanian Orthodox Church split from the Greek Orthodox Church and declared its independence (autocephaly) in 1922. The recognition of the primate by Constantinople came in 1937. Judging from the New Testament account of the rise and expansion of the early church, during the first few centuries of Christianity, the most extensive dissemination of the gospel was not in the West but in the East. In fact, conditions in the Parthian empire (250 BC - AD 226), which stretched from the Euphrates to the Indus rivers and the Caspian to the Arabian seas, were in some ways more favourable for the growth of the church than in the Roman world. And though opposition to Christianity increasingly mounted under successive Persian and Islamic rulers, Christian communities were eventually established in the vast territory which stretches from the Near to the Far East possibly as early as the first century of the church. ↑ Saint Cyprian wrote, "A man cannot have God as his Father if he does not have the Church as his Mother." Stated the other way around, Georges Florovsky said: "Outside the Church there is no salvation, because salvation is the Church." ↑ Orthodox Dogmatic Theology: A Concise Exposition Protopresbyter Michael Pomazansky pages 92-95. ↑ A General History of the Catholic Church: From the Commencement of the Christian Era Until the Present Time. P. O'Shea. 1869. pp. 500–. ↑ "Protopresbyter Alexander Schmemann: Byzantium, Iconoclasm and the Monks". ↑ The Entry of the Slavs Into Christendom: An Introduction to the Medieval ... - A. P. Vlasto - Google Boeken. Books.google.com. Retrieved 3 September 2013. ↑ "The Great Schism: The Estrangement of Eastern and Western Christendom". Orthodoxinfo.com. Retrieved 3 September 2013. ↑ Tim Clancy (2007). Bosnia and Herzegovina: The Bradt Travel Guide. Bradt Travel Guides. pp. 23–. ISBN 978-1-84162-161-6. 1 2 Richard C. Frucht (2005). Eastern Europe: An Introduction to the People, Lands, and Culture. ABC-CLIO. pp. 630–. ISBN 978-1-57607-800-6. ↑ The pogrom greatly accelerated emigration of ethnic Greeks from the Istanbul region (the former Constantinople), reducing the 200,000-strong Greek minority in 1924 to just over 5,000 in 2005. According to figures presented by Prof. Vyron Kotzamanis to a conference of unions and federations representing the ethnic Greeks of Istanbul. "Ethnic Greeks of Istanbul convene", Athens News Agency, 2 July 2006. ↑ Lydia Chukovskaya - Interview with Solzhentisyn about "200 Years Together"
↑ President of Lithuania: Prisoner of the Gulag a Biography of Aleksandras Stulginskis by Afonsas Eidintas Genocide and Research Center of Lithuania ISBN 9986-757-41-X / 9789986757412 / 9986-757-41-X pg 23 "As early as August 1920 Lenin wrote to E. M. Skliansky, President of the Revolutionary War Soviet: "We are surrounded by the greens (we pack it to them), we will move only about 10-20 versty and we will choke by hand the bourgeoisie, the clergy and the landowners. There will be an award of 100,000 rubles for each one hanged." He was speaking about the future actions in the countries neighboring Russia. ↑ "Sermons to young people by Father Gheorghe Calciu-Dumitreasa. Given at the Chapel of the Romanian Orthodox Church Seminary". The Word online. Bucharest. 1 2 Ostling, Richard (24 June 2001). "Cross meets Kremlin". TIME Magazine. Retrieved 2007-07-03. ↑ Van Christo. Albania and the Albanians. ↑ Dumitrica, Delia Despina. "Uniate vs. Orthodox: What Lays [sic] behind the Conflict?". ↑ "Ministry of Foreign Affairs of Belarus". ↑ "Second Chambesy Agreement of 1990".